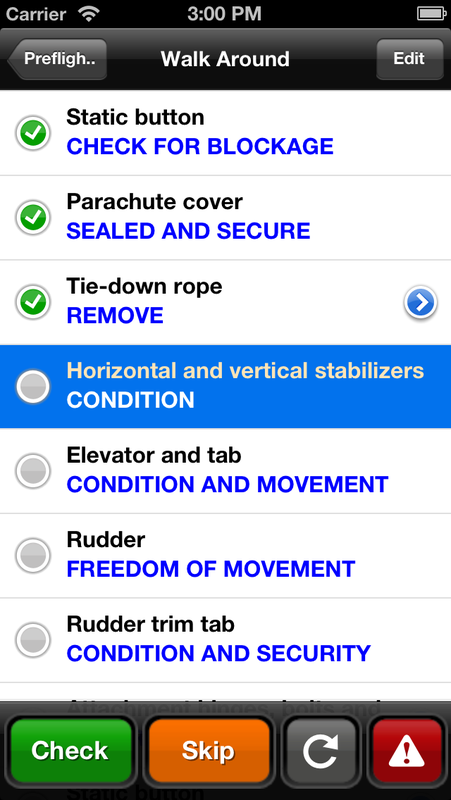 We updated Checklist Pro, our aviation checklist app, to support the taller iPhone 5 screen. This update – ForeFlight Checklist Pro 2.3.1 – is available for download in the App Store. This is a free update for anyone who has purchased Checklist Pro in the App Store. Click here for instructions on updating to the latest version.